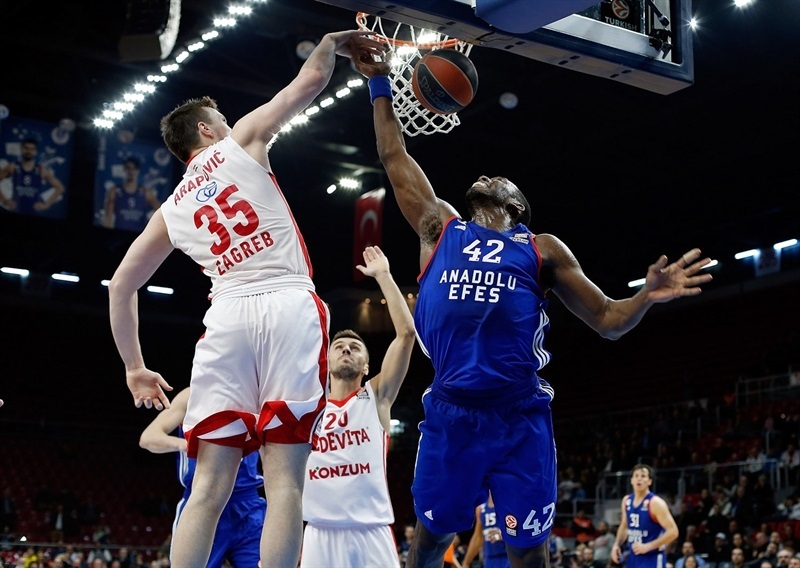 Anadolu Efes Istanbul held on for dear life to a victory that leaves the Group E playoff race wide open when it rallied from double-digit deficits to outlast Cedevita Zagreb 80-76 on Friday. 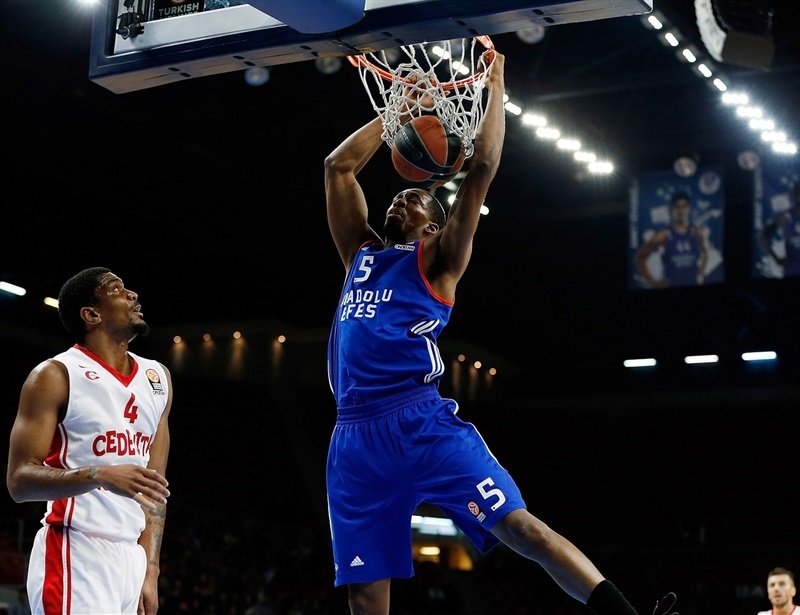 Efes raised its record to 5-6 and will live to fight at least another week from fifth place, one below the playoff spots. Cedevita was eliminated as its record fell to 2-9. With Nemanja Gordic on fire early, the visitors staked double-digit leads in each half, but Thomas Heurtel paced Efes comebacks. The hosts went ahead for good on a Birkan Batuk triple with just over 2 minutes left and preserved the difference with perfect free throw shooting to the finish. Heurtel led Efes with 19 points, including 6-for-6 two-point accuracy, and 6 assists. 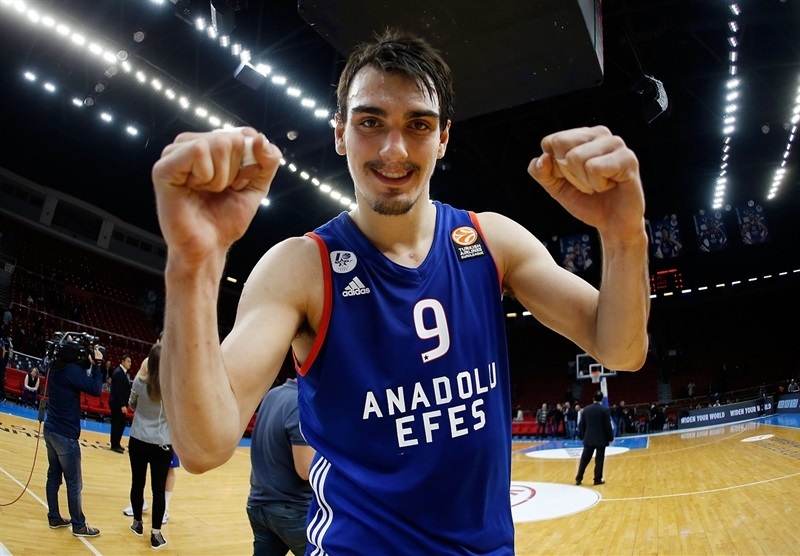 Derrick Brown and Dario Saric followed with 12 points each and Cedi Osman got 10 including key late free throws. Bryant Dunston blocked 4 shots for the winners. Gordic and Marko Arapovic led Cedevita with 16 each, while Miro Bilan added 14 and James White 10. Bilan made a pretty reverse for Cedevita and Osman blasted a triple to get Efes going. 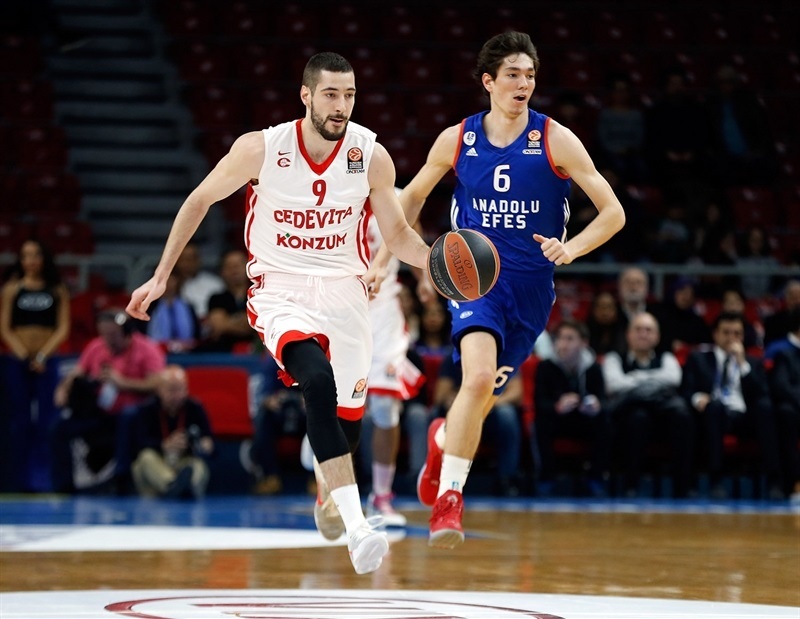 Gordic downed a layup and White followed with another as Cedevita led 3-6. 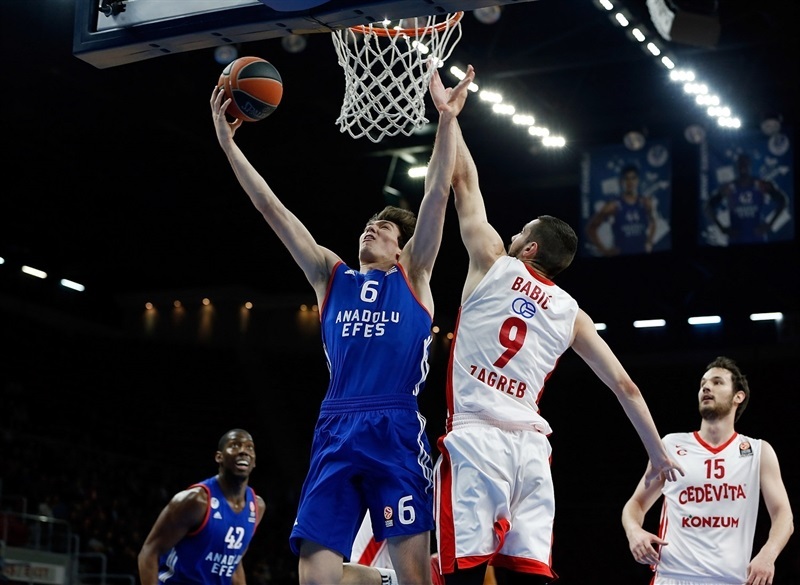 Dunston rumbled to the basket for Efes before White scored inside again and Luka Babic hit 2 free throws at 5-10. 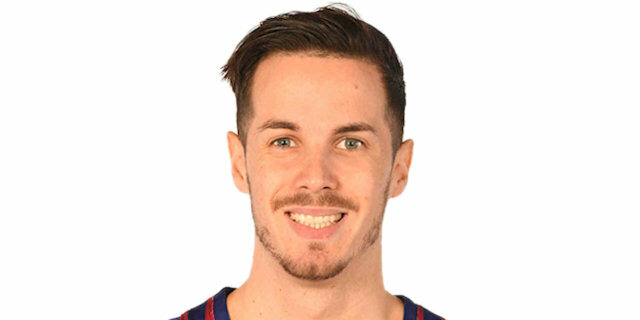 Heurtel joined the Efes scoring column from mid-range, and after Dunston swatted a shot by Arapovic, took the ball the other way to get Efes within 9-10. Arapovic got his basket on the next try and soon Babic was feeding Bilan for a fastbreak dunk. Brown scored before Gordic drained a big triple to make it 11-17. Osman got one basket back before Brown skied for super slam at 15-17. Out of a timeout, a red-hot Gordic fired in 2 more triples as the Cedevita lead climbed to 15-23. Elijah Johnson answered from downtown for Efes and Brown got free for a layup, but Arapovic lined up the next triple for Cedevita at 20-26. Gordic had his foot on the line for his next jumper and it gave him 13 points and Cedevita a 20-28 edge after 10 minutes. Babic picked up where Gordic left off, hitting a mid-range jumper for a double-digit Cedevita lead, 20-30. Furkan Korkmaz set up Johnson for another triple and Alex Tyus downed a hook shot to get the hosts within 25-30. Bilan returned to stop an Efes fastbreak with a block at one end, then after a timeout, bank in a shot at the other. He then put back a blocked shot that fell to him to make it 25-34. Tyus did the same at the other end after an offensive rebound by Saric, who soon stuck a triple from the top to trim the difference to 30-34. Another offensive rebound by Saric led to Heurtel making a runner from the lane. And after a Cedevita timeout, Saric tied it up, 34-34 with a deep two-pointer. The Efes defense had held Cedevita to just 6 points in the quarter so far, but Arapovic stopped the hosts' 9-0 run with free throws to let his team keep a 34-36 edge at the half. 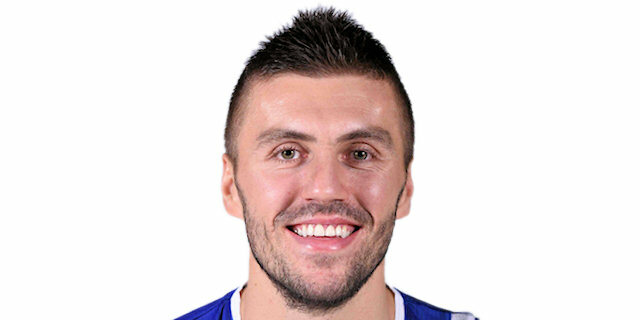 After Cedevita's slow-scoring second quarter, Arapovic immediately converted a nice feed from White to open the second half. Then he picked up a loose pass and drilled a three-pointer to make it 34-41. Heurtel answered with a high floater. White stole and fed Arapovic again for a fastbreak layup and then Jacob Pullen stepped back for a huge swish to restore a double-digit lead, 36-46. 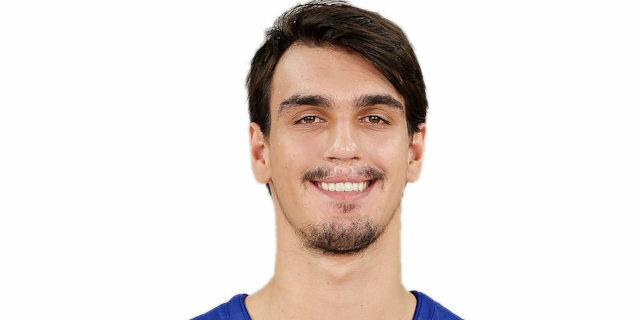 Saric was again the answer man for Efes with a triple of his own and a pass that resulted in Dunston hitting 2 free throws. Pullen fed White for a basket, while Heurtel pulled up and hit one for Efes to get within 43-48. Heurtel was back with a quick-trigger triple to get a rise out of the crowd, the Jayson Granger made a driving reverse, his first basket of the game, count for a 48-48 tie. After a timeout, Heurtel fired a bullet pass on the baseline to Granger for the home team's first lead since 3-2. Bilan answered with a layup to tie before Osman made 1 of 2 free throws and Johnson banked a high layup as Efes went up 53-50. Karlo Zganec earned a free throw with an offensive rebound before Pullen reappeared with a go-ahead triple to let Cedevita keep clinging to a lead, 53-54, after 30 minutes. 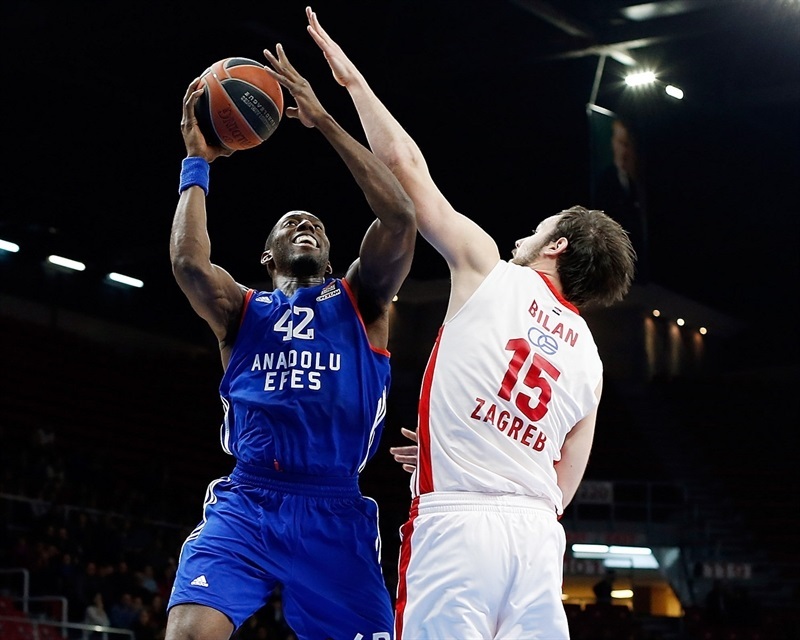 Fourth quarter: Efes holds on at the finish! Fran Pilipec ended a scoreless first 90 seconds of the final quarter with a three-point stroke from way downtown for a 53-58 Cedevita lead. Heurtel scored on a pass from Dunston and Saric powered inside to tie it. After Zganec and Granger traded baskets, Babic picked up a loose ball and hit from long range to make it 59-62. 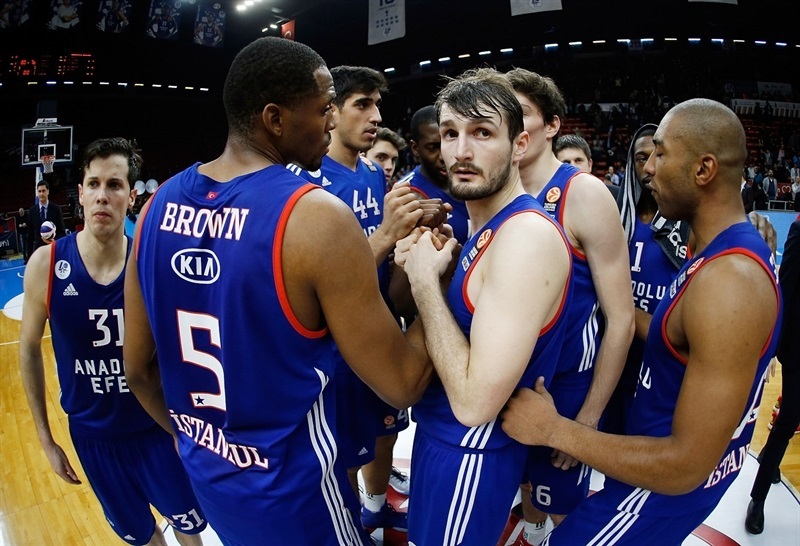 Brown would swish two shots for Efes, but in between, Gordic reappeared with a driving layup and three-point conversion. However, Heurtel's steal and long pass to Brown for a fastbreak dunk tied it again, 65-65. After a timeout, White scored in close for Cedevita, and soon after Granger's free throws knotted the scoreboard at 67-67 with under 4 minutes left. Heurtel and Bilan exchanged baskets as both teams strained to get an edge, but couldn't. The ice-breaker came on a drive and assist by Brown to Batuk with a triple from the corner, his first points, at 72-69, with 2:12 to play. Arapovic answered with a lane jumper, but Saric at the other end put back an offensive rebound at 74-71 with 1:13 to play. Bilan answered with a back-down bank shot with 53 seconds left. After Efes missed, Cedevita took a timeout tried to go inside to Bilan, but the ball came loose and Osman picked it up. He was fouled and hit both free throws with 7 seconds left, as did White for Cedevita and Heurtel for Efes in the next two seconds, making it 78-75. Batuk fouled Pullen with 3 seconds left. Pullen hit the first and missed the second, but the rebound fell to Osman, who made both again to make sure of the outcome. "It was one very, very exciting game. Definitely, like a team, we knew how to finish the game. It was some pressure when we started, shooting too many threes, but I think we concentrated after that and I think we must continue to play much better." "It was a very important game for my team. The reason we started the game not at the level we expected was because of pressure and we didn't react well to it. We gave up 28 points in the first quarter, which was too much for us. But then in the second quarter, we showed a reaction and only let them have eight points. The comparison of 28 to eight shows how my team reacted against our opponent. I expected us to open the game much better. In the last minutes, the team showed character: good decisions on offense and high percentage on free throws. Our defense was not at the expected level today, though. We shot 70% on two-pointers, which is very high, but only 26% on three-pointers, as we know Diebler is injured. We have to continue working." 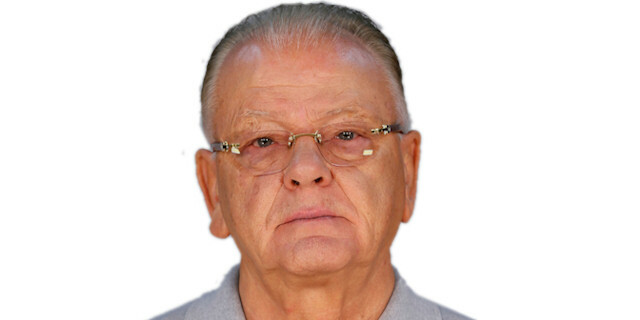 "Our last four losses in the Euroleague and Adriatic league, they all came in the same manner. In the key moments, we allowed opponents offensive rebounds. Combined with bad decisions we make on offense in those moments, those things decide games that come down to one possession. However, our problem is earlier in the games, when opponents raise their aggressiveness. We go from playing brilliantly, and building eight- or 10-point leads, to having lapses and within two minutes lose those leads. We can lose those leads, but we cannot let it happen so quickly. We need to make opponents work a lot more to catch up with us." "In the first half, we were slow and not very good on defense. In the second half, we showed our character. We won, and the most important thing is this. After the Darussafaka game, we were on a good way. Now, we'll keep going." 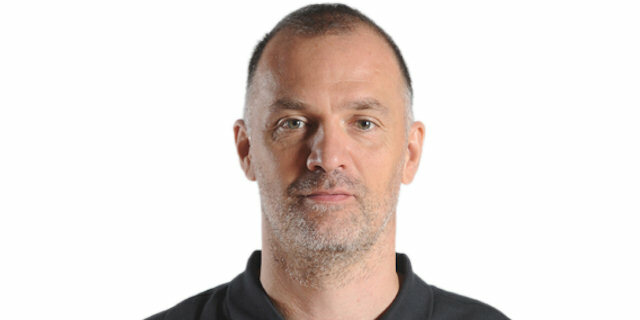 "We played already before this game three others against Cedevita. They beat us two times, and we won once. So we knew that we had a hard job. But we did it in the end. Some shots we scored, sometimes we had to be lucky to get some of the possessions, but this was it. I think that Efes showed good character in the end because so many games we lost in the last five minutes and this will be the start of new and better days for Efes. We know that we will have all these games in Istanbul, but we didn't do well in the games before this against Cedevita and Kuban and Red Star, and we are now in a difficult situation. I believe Darussafaka will help us in their game against Panathinaikos, and I believe we can win three games in a row." "It's hard when you lose a game you probably should have won. We played most of the game good. I felt good after my first shot, but we did not turn our good performance into victory. 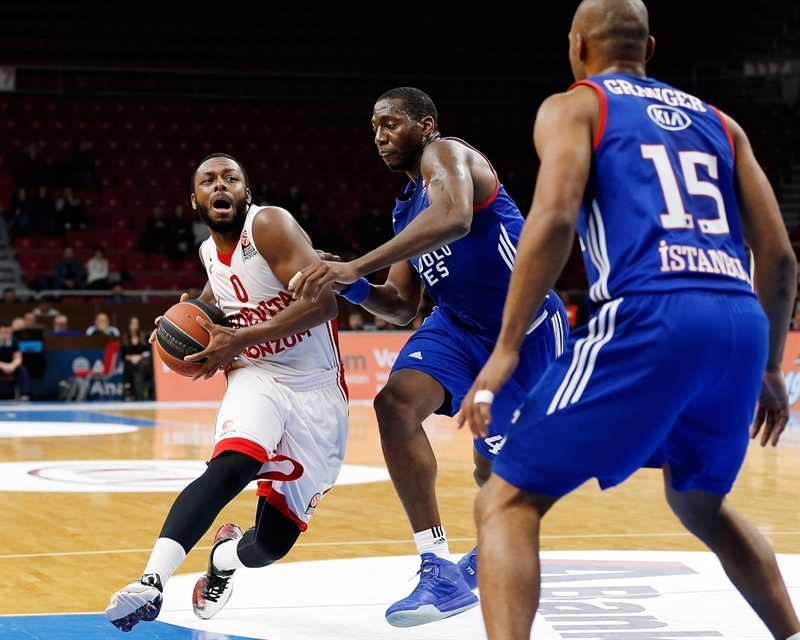 We played four good games this season against Efes, maybe we match up against them well. We played motivated against them, and end this season we're 2-2 in head-to-head matches, but it could have been better. We could have won this one, too."